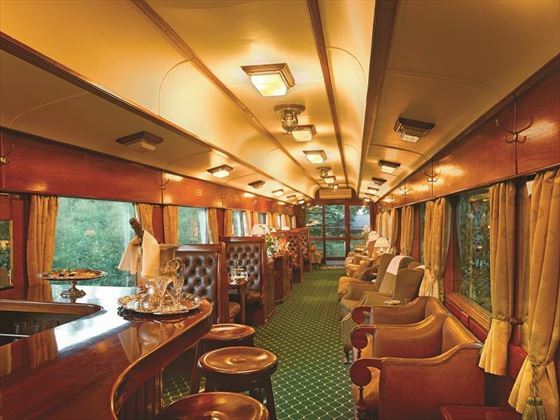 Discover the luxurious Rovos Rail on this spectacular seven-night tour and safari. 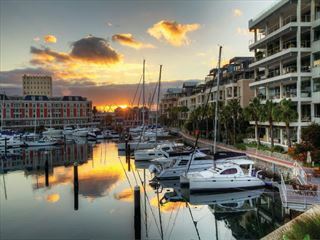 Starting in Cape Town and ending in Madikwe Game Reserve, you'll embark on a tour full of natural beauty, amazing animal encounters, and luxurious accommodation. 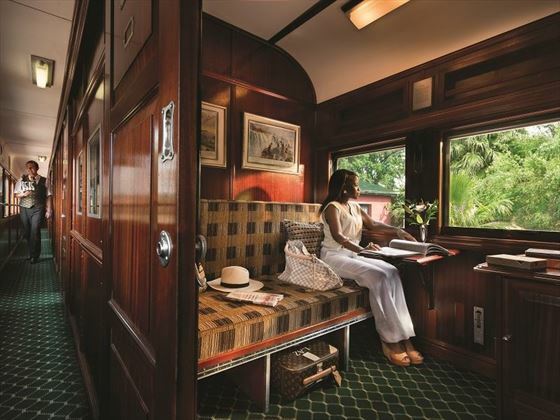 Our personal highlight of this wonderful adventure is the journey on board the Rovos Rail. Travelling through the winelands, you'll have the chance to marvel at phenomenal scenery as you relax in your luxurious carriage, tucking into a decadent lunch in the dining car, and watching the world go by in the observation car. Staying at the lavish Marataba Safari Lodge is also a brilliant experience, spending your time enjoying wildlife-abundant walking safaris, game drives and water safaris, as well as indulging in delicious boma dinners and bush breakfasts. This rail journey and safari is full of magical moments. 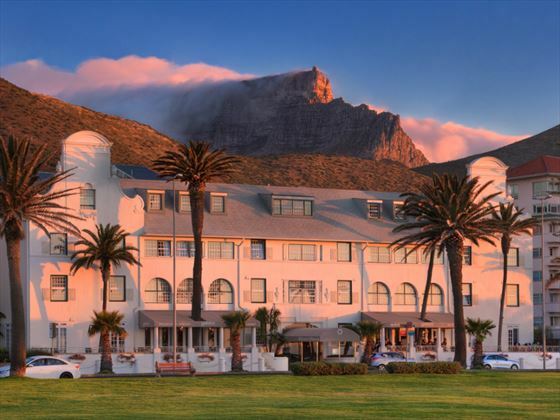 Upon arrival into Cape Town you will be transferred to your hotel. You will have the remainder of the day exploring the city at leisure and seeing all the sights. Explore the beaches and make the most of the thriving culinary scene. 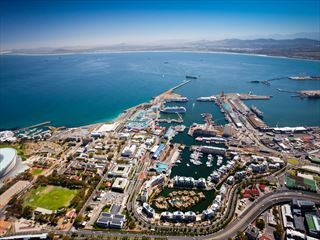 Why not take a cable car up to the top of Table Mountain, visit the museums and galleries, or visit the penguins on Boulders Beach near Simon's Town. 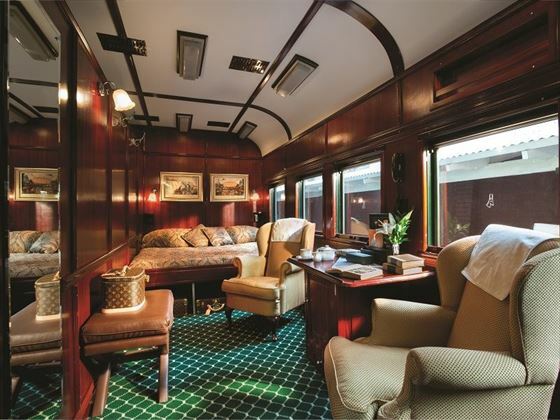 You will be transferred to Cape Town station and board the Rovos Rail to await your departure aboard the gleaming, woodpannelled five-star luxury train. 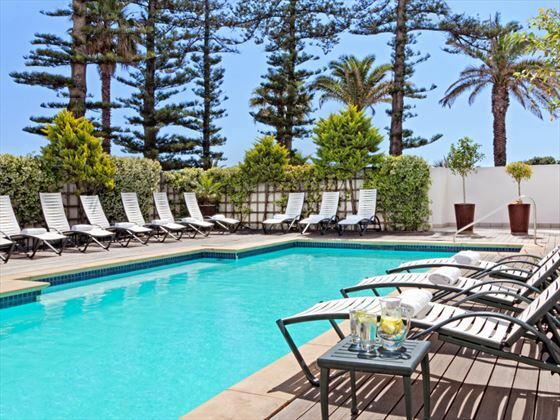 Depart from Cape Town station at 11:00 and travel through the Winelands. Lunch in the dining car and tea in the lounge and observation cars will be served before a visit to the historical village of Matjiesfontein. 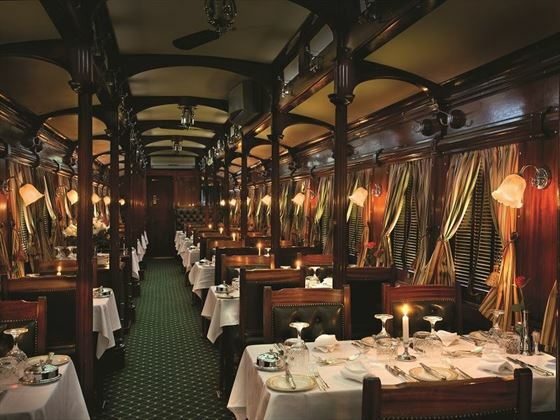 Enjoy dinner in the dining car after your first day onboard the luxury moving hotel. On your second day on-board the Rovos Rail you will make a stop in Kimberly for a tour of the city, the Diamond Mine Museum and the extraordinary Big. Breakfast, lunch, afternoon tea and dinner will be served onboard. After breakfast, you’ll continue on your journey to Pretoria to arrive at the Rovos Rail Station in Capital Park at 12:00. 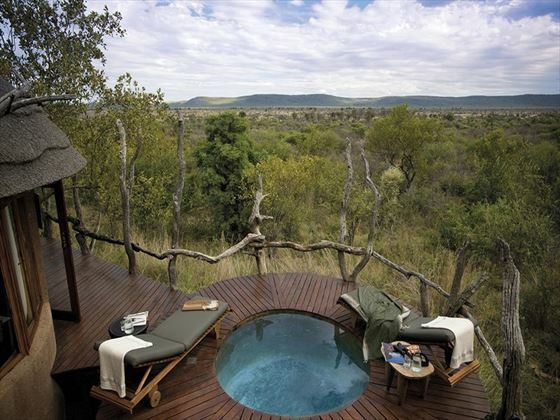 You’ll then be transferred to Marataba Safari Lodge in the Madikwe Private Game Reserve. 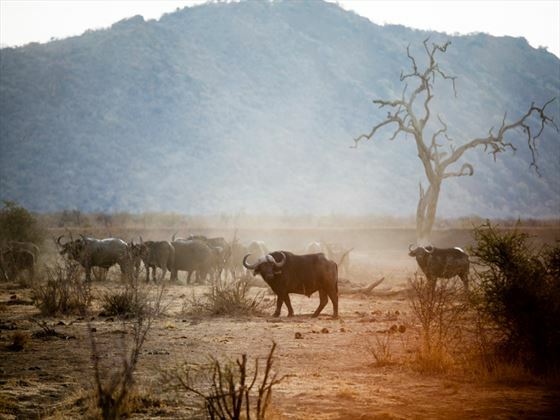 Spend the next few days going on game drives, walking safaris and water safaris on Miss Mara. 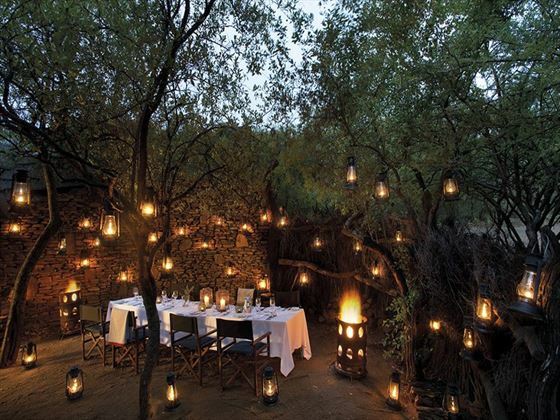 Enjoy bush breakfasts and boma dinners, bird watching and night sky safaris, or simply unwind and relax by the pool. Enjoy a relaxed morning at Marataba Safari Lodge before transferring to O.R. Tambo International Airport for your flight home. 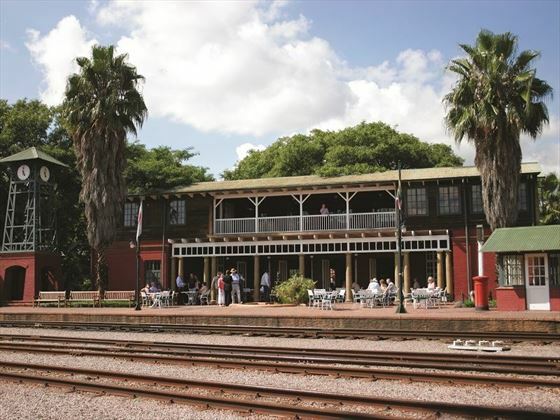 The Cape Town to Pretoria journey onboard the Rovos Rail departs from Cape Town on Mondays and selected Wednesdays and Fridays.